Far from its humble beginnings, the concept of life insurance has exploded in recent years into something much more far-reaching than a mere death benefit for a grieving family. It’s a tool for businesses to preserve and pass on assets, a tool for individuals to strengthen retirement goals, and a tool for families to combat risks. Let’s take a look at the humble beginnings of this versatile tool and follow its progress into the dynamic product that it is today! The concept of life insurance is based on the law of large numbers. This basically means that the larger the group of people you have, the easier it is to spread out the financial burden of risk to members. A group of 100,000 people only need to contribute $10 each in order to create a financial reserve of $1,000,000 whereas a group of 100 people must contribute $10,000 each for the same result. Creating large groups in which each member contributed a small amount of money allowed there to be a significant benefit to a widow after the death of her spouse without breaking the bank for all other members. Life insurance began as a loosely organized way to help widows and their children survive after the loss of a home’s breadwinner. Hundreds of years ago, women were not able to inherit land—and many peasant families had nothing to inherit to begin with. As working men died, they left no one to care for and support their families, so churches and other groups organized funds for the payment of their support. Some of these groups didn’t provide complete financial support for the widows, but just burial benefits for the recently deceased. Eventually, the clubs even expanded to offer other benefits like disability and dismemberment payments. During the 1800’s, some companies determined that taking a premium in exchange for the promise of an insurance benefit was a more efficient and dependable way to offer a life insurance policy to a surviving spouse. This progress followed the Great Fire in New York in 1835 that left many families bereft emotionally and financially. During this time the face of insurance was changing as the automobile was making an impact and its insurance policies (created based on the historical policies of ship captains on the cargo their vessels carried) were becoming more and more popular. Life insurance quickly grew from being an occasional luxury policy of the rich to a necessity in every family—something that could not be said for auto insurance. It was offered as a benefit by employers and provided by unions. In the 1900s inexpensive burial policies became very popular with door-to-door salesmen selling them and collecting the premiums. Now life insurance has become as sleek and modern as the latest Apple gadget. Insurance premiums can be taken directly out of your bank account without you having to write a check and policies can be purchased online and issued electronically—without a piece of paper touching your fingertips. Even the benefit itself has changed. While life insurance’s main attraction is still its death benefit, there are many other benefits you can add on in the form of insurance riders. These include additional death benefits for spouses and children, accelerated benefits that allow you to access your funds after you are diagnosed with a terminal illness, and accidental death benefits that double your death benefit should you die in an accident. Life insurance policies are more frequently being considered investments that are to be considered in a family’s net worth. Their cash value accrual methods range from simple, fixed growth to variable growth that relies on the movement of the stock market to help your accumulation along. No matter what you need your life insurance policy for or what benefits and riders you decide to take advantage of, it is a vital part of your family’s financial future. What was once merely a tool to help bury individuals and provide menial support to grieving widows has become a sophisticated tool to preserve wealth, as well as a utilitarian product to ensure a way of life. There’s no doubt your little ones are beginning to get excited about Halloween. You can’t blame them – it’s the yearly chance to go splurge on free candy. Plus who wouldn’t be counting down the days to dressing up as a superhero, princess, or firefighter? 1. Never trick-or-treat alone. Always make sure you are either with your kids or they are in a group of friends you trust. 2. Plan your route beforehand. If you aren’t accompanying your kids, plan out where they’re going to go with their friends. Tell them what neighborhoods are good, which they aren’t allowed to go to, and what’s too far from home. 3. Have a flashlight. You want to be able to see that candy right? It’ll also make your trick-or-treaters more aware to other children and drivers on the roads. 4. Wear comfy shoes. Sure, Spider-Man might not rock sneakers with his outfit but you’re going to want your children to be comfortable for the long walk that night. If your child insists on those sparkly princess shoes, consider bringing some more practical back-up shoes for when reality (or blisters) set in. 5. Never accept rides from strangers or go inside strangers’ houses. 6. Only visit well-lit houses. If a house doesn’t have its porch light on or any other indicators that they’re open for candy, it’s best to skip that house and move on. 7. Don’t eat any candy that isn’t properly wrapped. A tummy ache will crush your child’s candy-eating dreams. 8. Don’t run! Those costumes aren’t built for sprinters, so tell your kids to not be in such a hurry and avoid tripping over theirs or others’ costumes. Be especially aware of this when capes or long robes are involved! 9. Stay on sidewalks as much as possible. Don’t wander into the street and stick as close to houses as possible. 10. Make sure your child can properly see and move comfortably. It’s fun to put on the cape and cowl of your favorite hero, but make sure they can see and enjoy the night properly and avoid getting hurt. What rules do you have for keeping your Halloween safe? Share in the comments! 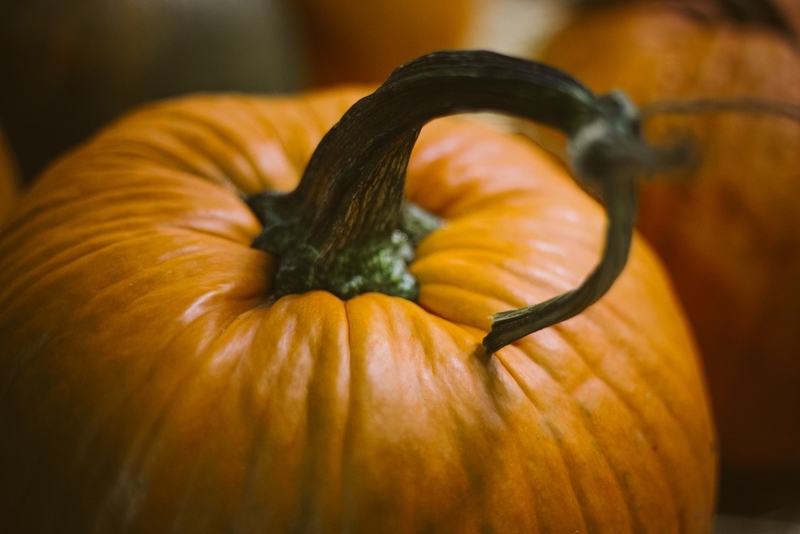 Let’s look at some of the most common tricks that are pulled on policyholders over the holiday and ways you can safeguard your car and home this Halloween. 1. My dog bit a trick-or-treater! Halloween creates heavy traffic to your home and can be downright spooky for dogs. 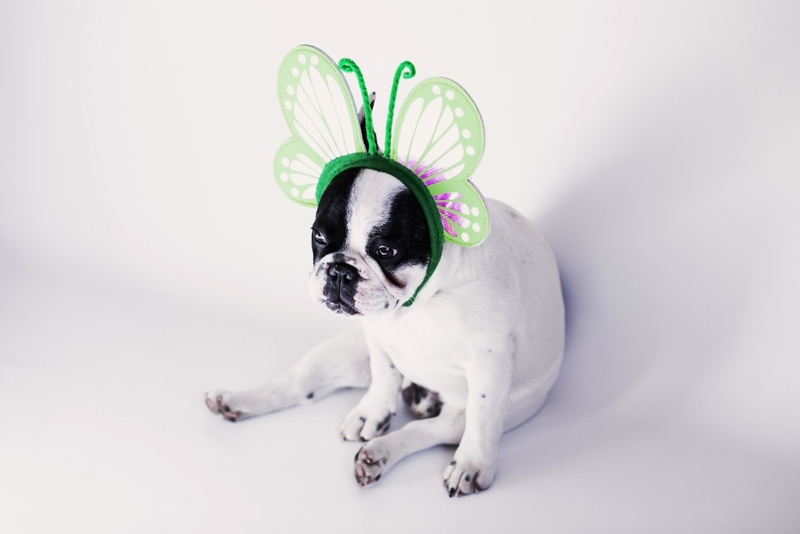 A scared dog is on higher alert than normal, and this could result in your furry friend taking a bite out of one of your costumed visitors. It’s best for you, and your pet, to have them put away from the door when you know traffic will be high – such as Halloween night. They should be fine in a back room, away from the front door. If possible put some of their favorite toys and a treat back with them so they know they are not in trouble. We also recommend turning on the TV or a radio in the room your dog is in to help muffle the doorbell or noise and giggles of trick-or-treaters at the front door, which may stress them out. Remember not to take this risk lightly. There were over 16,000 dog bite claims last year, making up more than one-third of all liability claims paid out homeowners insurance companies, according to the Insurance Information Institute (III). They totaled almost $479 million, averaging nearly $29,400 paid out per claim. Every state has different rules about dog bites, homeowners policies typically cover the liability and medical expenses related to a dog bite, unless your dog or his breed is excluded from your policy. 2. Does my homeowners policy cover TP in the trees? Toilet paper typically doesn’t damage trees, most of the time it’s just paper blowing through the branches, so a claim isn’t necessary. For the most part, toilet paper is merely an annoyance that must be cleaned up in the morning. However, there have been instances when a tree has been damaged during an act of vandalism. If this happens, your homeowners policies may cover this – check with your agent to be sure. If your tree does have damage from vandalism, avoid cutting down limbs or hauling away any debris until a claims adjuster is able to come out to take a look at the damage to the tree or your home. 3. My car was egged, am I covered? Vandalism is most likely covered by your car insurance policy if you have comprehensive coverage. Whether or not you should file a claim depends on the amount of damage versus the amount of your deductible. You may be able to remove egg with a simple car wash – though more extensive damage may occur depending on the severity of the vandalism. In the last few years, we’ve seen claims increase for damage caused by paintballs, water balloons filled with paint or other liquids, and broken windshields with pumpkins thrown through them. If you see severe damage, dents, or your paint eaten away, then a claim may be justifiable. Your best bet to protect your vehicle is to park your car in the garage or another well-lit, covered area. If you do not have this option, even simply buying a tarp to cover your car can detour vandals. The good news is that most neighborhoods are prepared for Halloween, and you and your neighbors can look out for each other and the rest of your neighbors. By working together, and helping others be vigilant about safeguarding your street from pranksters, your street will be unattractive to teens ready to egg cars or toilet-paper trees. What other tips do you have for preventing pranks during Halloween? Share them with us on our Facebook page or Twitter. Smoking is a nasty, hazardous habit. Doctors know it. Advertisers know it. Even you know it. You’ve probably been told time and time again about the many studies that have been conducted which concluded that the chemicals in cigarettes can cause or contribute to severe illnesses such as lung disease, stroke, various forms of cancer, and more. This is all old news already. But here’s some news that may actually be new to you. Smoking can send the cost of your life insurance premium skyrocketing. Though the vast majority of the population believes life insurance is necessary, only about 40% of adults actually own it. Why? People generally think it’ll cost too much. However, depending on the policy, it’s usually inexpensive, often costing less than what you spend on your daily latte—unless you’re a smoker. Smokers can expect to pay approximately double the price of a non-smoker in similar health. As we’ve discussed, smoking significantly increases your risk of falling fatally ill earlier in life, which makes you a riskier customer for insurance agencies. They would rather collect money from healthy individuals over many years than collect money for two years from a smoker before having to pay out death benefits. It sounds grim, but it’s how insurance companies stay in business. Therefore, the greater risk posed by smokers has led insurers to charge more for the same, or sometimes even less coverage. Insurance companies define smokers as individuals who have used tobacco products (even small amounts) within the past 12 months. These individuals may get flat out rejected by some insurers, while other insurers will simply charge more. You might be thinking that you can omit the fact that you smoke when applying for life insurance, however, this is not an ideal situation to put yourself in. In order to purchase life insurance, you must either take a physical exam or provide recent medical records so your insurer can accurately gauge your health before determining your premium. It’s likely that your doctor already knows that you smoke, and if not, you’re doing yourself a disservice by not telling him or her. This knowledge can assist your doctor in fully monitoring your health and checking for smoking-related health concerns before they grow out-of-hand. Your doctor will pass this information on to your insurer, preventing you from omitting it. However, if you somehow get away with neglecting to inform both your doctor and insurer of the fact that you smoke, you could still be caught later on down the road. If (or when) your insurer discovers your omission, they may declare you guilty of insurance fraud and can instantly drop your coverage. This means that the money you’ve paid to date will have been wasted, plus you will now lack protection and may be unable to get a new policy. While you can’t change many of the factors that insurers use to calculate your life insurance premium, such as gender and age, smoking is a habit that you can quit. Not only will quitting do wonders toward improving your overall health, but it’ll also save you a lot of money considering the fact that smokers can also pay more for both health and home insurance. If you have more questions about life insurance, feel free to call our office at (616) 897-1515. We have an experienced Life Insurance Specialist on staff to answer all of your remaining questions and offer a free assessment of your life insurance needs. Whether it’s for the holiday weekend or just another gorgeous day in Michigan, nothing says summer like the smell of grilling wafting through the neighborhood. It’s one of our favorite parts of summer and a great way to gather the family together to savor the long, hot days. Unfortunately, when folks gather around the grill this summer, risk factors also increase. According to the National Fire Protection Association, US Fire Departments respond to over 8,200 home fires involving some sort of outdoor grill per year. These 8,200 fires have caused 15 deaths, 120 injuries and $75 million in property damage. But this doesn’t mean you have to throw water on the coals just yet. You can stay safe and still enjoy your delicious food by following just a few safety tips. Never grill inside. Besides the obvious fire hazard, grilling inside your trailer, tent, house, garage, or any enclosed area can result in an accumulation of carbon monoxide – possibly enough to be deadly. The safest place to set up your grill will be a well-ventilated area on a flat surface, outdoors and away from buildings and others. Any utensils (forks, tongs, etc.) should have long handles and you should use flame retardant mitts to avoid burns and splatters. If a grease fire occurs, don’t panic, and never throw water on a grease fire! Use baking soda to control a grease fire. You should also have a fire extinguisher handy to be sure flames do not get out of control. A bucket of sand can be used as a substitute if you don’t have a working extinguisher. Remember to use the sand or baking soda first, and then you can apply water from a nearby hose if needed. Never leave a grill unattended once it’s lit. Don’t allow children to play near the grill when in use or immediately following its use. The grill will remain very hot to the touch for up to an hour or more once it’s been extinguished. Never attempt to move a hot grill. It’s easy to stumble or drop it and serious burn yourself or someone helping you. Whether you’re grilling for an outdoor party or just tonight’s dinner, employing safe grilling habits is the hallmark of any true pit master.